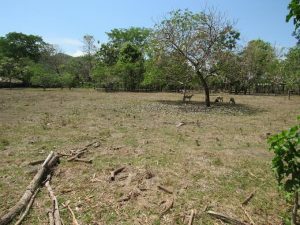 Lo oking for an opportunity to to invest in land development in Costa Rica? 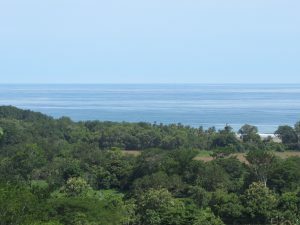 This 24.6-acre property on the southern Pacific coast of Costa Rica is perfect. 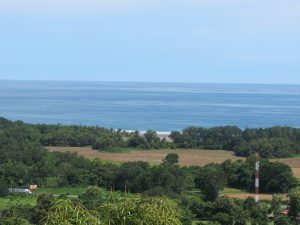 With 6 available building lots, 12.75-acres of flat land with commercial potential, and a pre-existing 2-story home with a stunning ocean view, this is a development property with tons of potential. The building sites could be developed with cabinas, a boutique hotel, a retreat center, or a family compound; the flat land could host multiple businesses; and the existing home would make a wonderful B&B. It would also be an option to sell the individual building lots, or to subdivide and sell lots from the flat portion of the property. With all of these possibilities, it is easy to see why this property is a great investment. A gated internal road about one kilometer long leads from the Hatillo road through the flat portion of the property and continues up the hillside to access all of the lots. This internal road is in excellent condition and is paved in places. The building lots are ready to develop, with driveways, flat building sites, and power and water located on site. Most of the building lots have an ocean view; the higher lots have breathtaking sunset ocean views. All of the lots enjoy a lovely breeze as a benefit of their elevation. The pre-existing home is located on a 1.25-acre lot that also hosts a second ocean-view building site. The second building site is perfect for a guest house, a rental cabina, or an owner’s home if the buyer prefers to build a custom home. In this case, the pre-existing home would make an excellent vacation rental, especially with the addition of the pool. The property also hosts numerous fruit trees including mangos and oranges. The location of this development in Hatillo is excellent. It is easily accessible from the coastal highway in only minutes. The nearest beach is Playa Guapil, which is amazingly beautiful and almost always deserted; Playa Linda, Playa Matapalo and Playa Dominical are all also within ten minutes of the property. Hatillo has a few delicious local restaurants and small grocery stores. Larger grocery stores, including a health food store, and many restaurants can be found in nearby Dominical. Quepos and Manuel Antonio National Park are only thirty minutes north of the property. Here you will find an airport, a hospital, gourmet restaurants, and many other amenities.